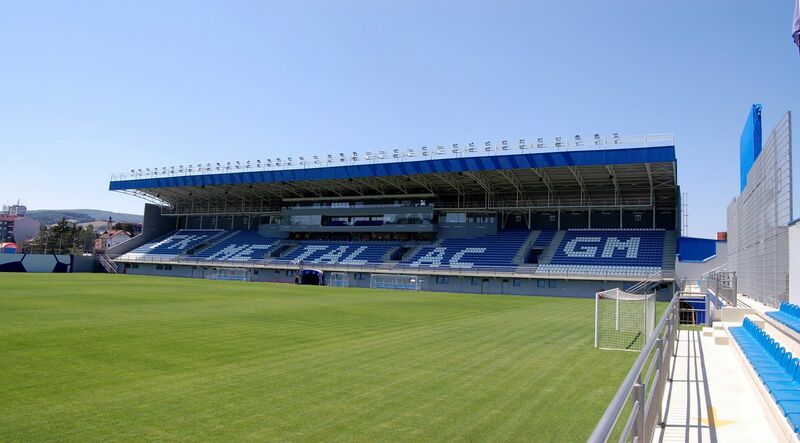 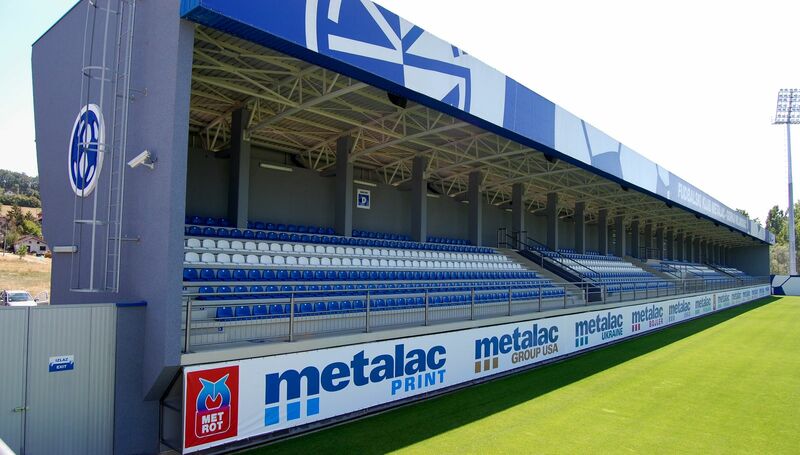 Construction of this stadium started in late 2011, over two years since the first declarations by local side FK Metalac. 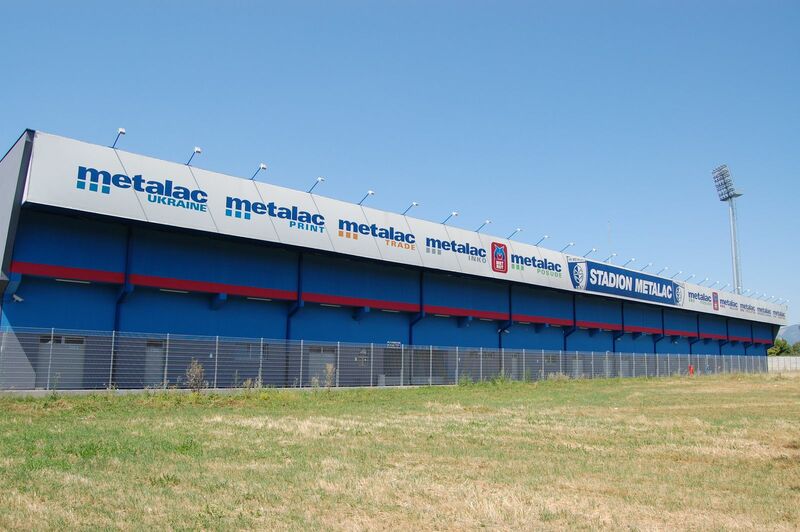 Contrary to most stadia in Serbia at that time, this stadium was financed by the club (15%) and its main investor Metalac (85%). 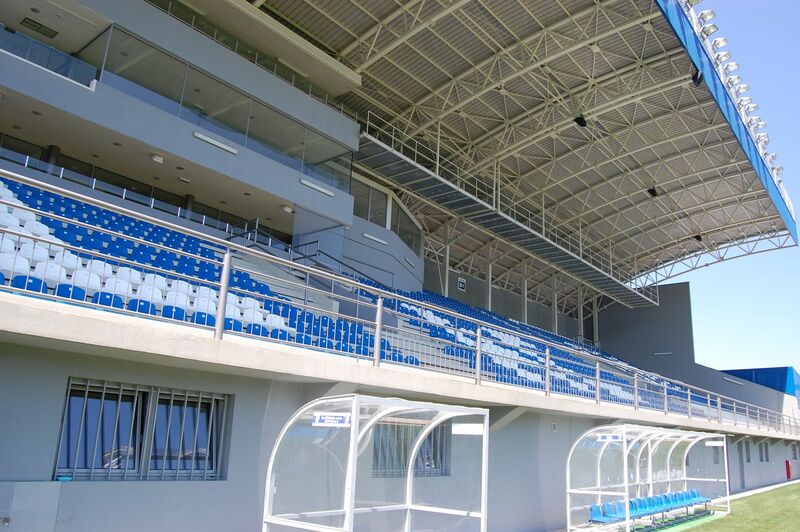 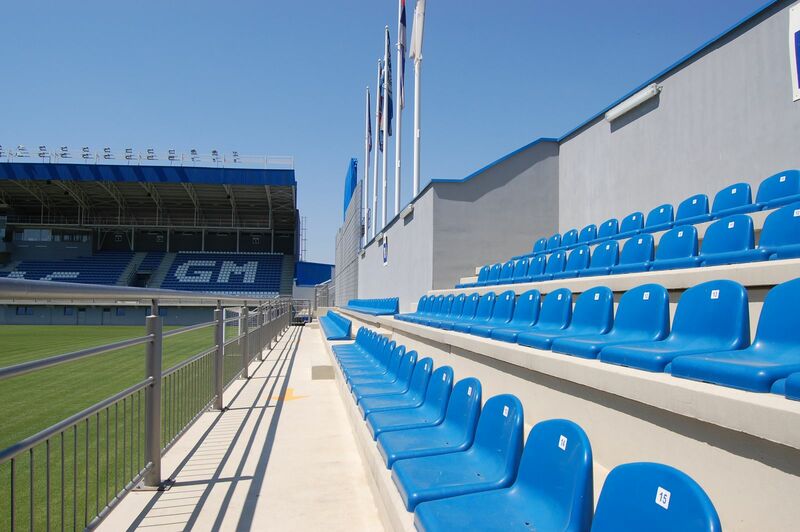 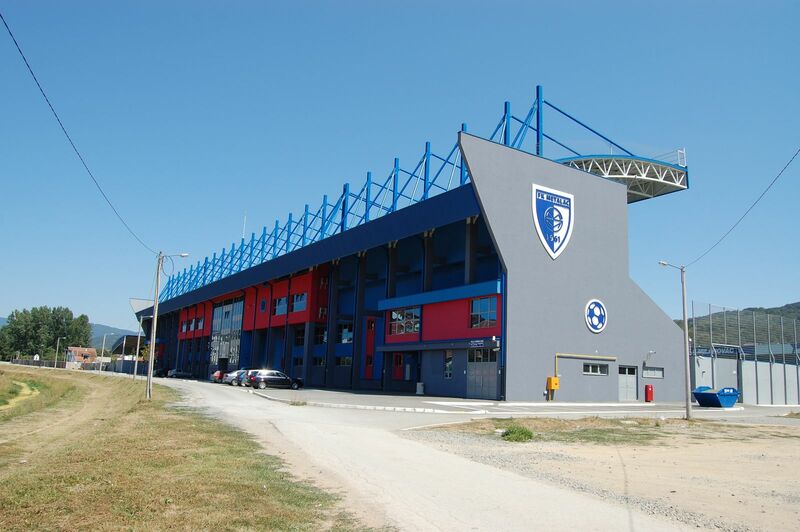 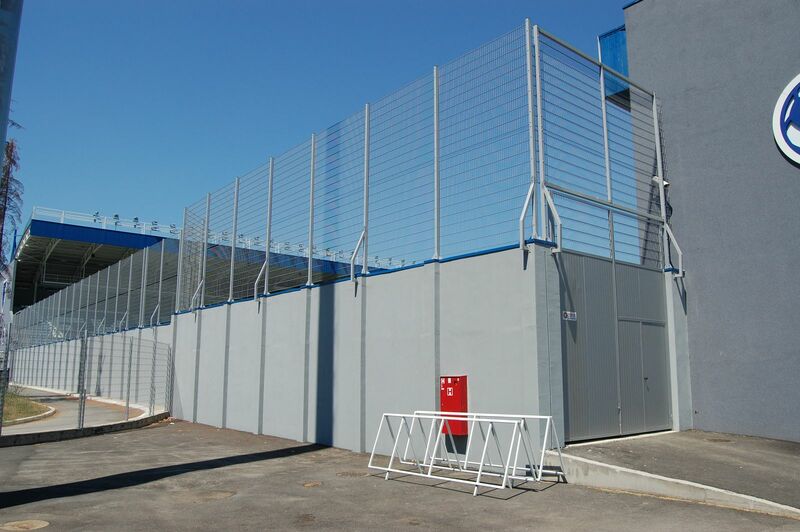 Both entities shared the €3 million cost, while Gornji Milanovac municipality provided land for the project just south from the previous stadium SD Takovo. 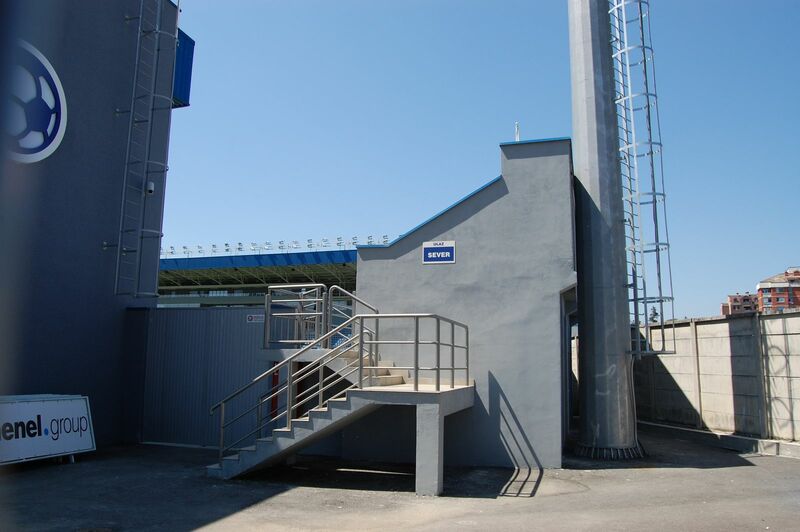 It was planned to hae only two stands with a total capacity of 4,000, but in the end also a very modest northern balcony was built, increasing the size to 4,600. 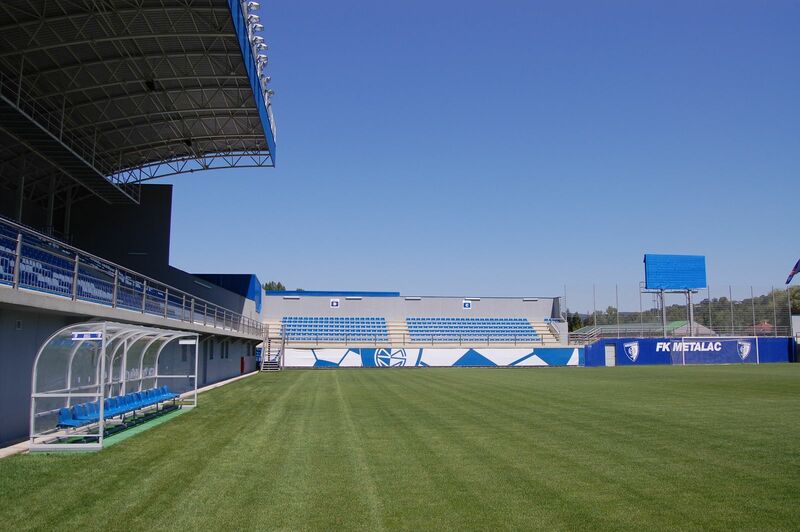 Within current surroundings there is no possibility to expand the stadium behind end zones as the athletic track of SD Takovo is too near in the south, while public swimming pool constrains the site from the south. 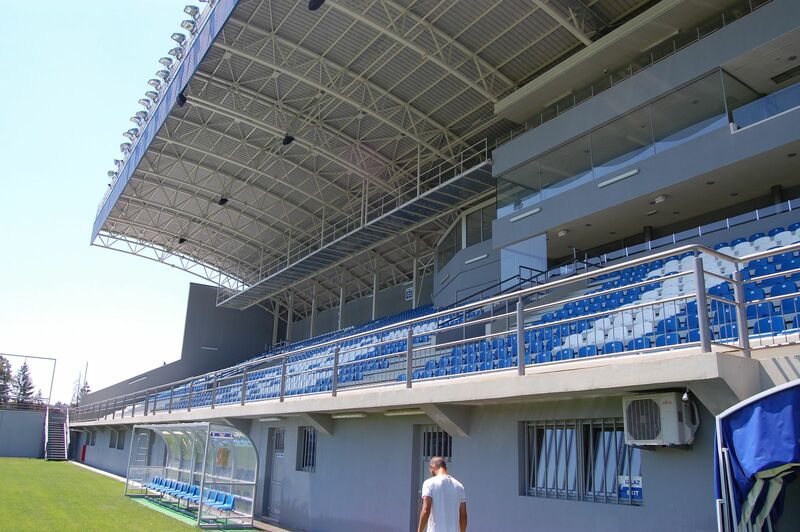 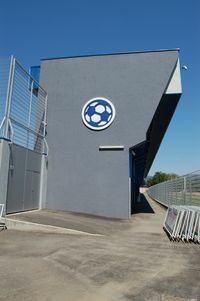 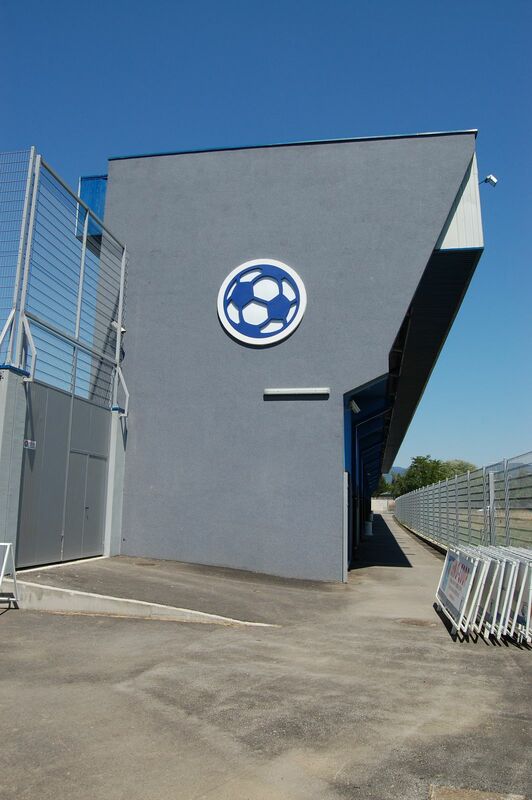 After 10 months of construction the stadium was opened in September 2012 in a 2nd tier clash with regional rivals Mladost Lucani. 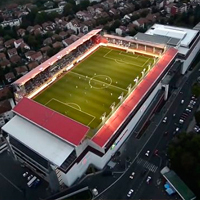 Soon afterwards a friendly game between Metalac and Serbia B was played, marking the first use of floodlights.